Coming up in the free First Nations Knowledge webinar series is Native Infusion: A Guide to Honoring Ancestral Beverages to Uphold our Health. 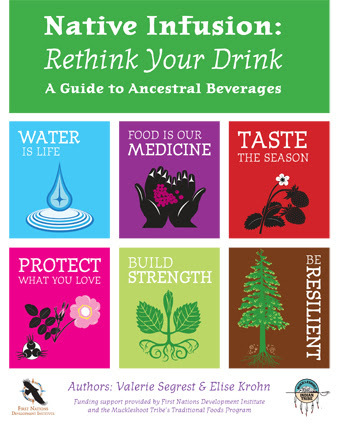 Join us as we unpack a toolkit that aims to encourage tribal communities to put down the sugary drinks and consume more of our heritage by increasing consumption of water, teas, broths and smoothies. We will share examples of culturally-relevant beverages, strategic community-level interventions, and how to design your own ancestral beverage campaign. 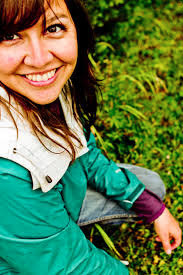 Valerie Segrest is a Native nutrition educator who specializes in local and traditional foods. As an enrolled member of the Muckleshoot Indian Tribe, she serves her community as the coordinator of the Muckleshoot Food Sovereignty Project and also works as the Traditional Foods and Medicines Program Manager. In 2010, she co-authored the book Feeding the People, Feeding the Spirit: Revitalizing Northwest Coastal Indian Food Culture. She is a Kellogg Fellow at the Institute of Agriculture and Trade Policy. Valerie inspires and enlightens others about the importance of a nutrient-dense diet through a simple, common-sense approach to eating. Learn more about Valerie here: http://www.tedxrainier.com/speakers/valerie-segrest/. NOTE: Related to this webinar, First Nations has also launched a new, online FDPIR Toolkit that provides resources related to healthy cooking with food items provided in Food Distribution Program on Indian Reservations (FDPIR) packages, plus materials from Valerie’s “Native Infusion” project. The toolkit contains cookbooks, videos, posters, the “Native Infusion” book by Valerie and Elise Krohn, and other materials.